Glamglow offers Get 1 Free Full -size DreamDuo Treatment ($59 value) with $59 purchase via code "FLASH". Plus pick 1 free sample at checkout. Shipping is free. 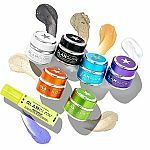 Glamglow is offering extra 30% off Sitewide an Free POWERMUD with $79+ orders with promo code "BLACK30". Shipping is free. Deal ends 11/24.